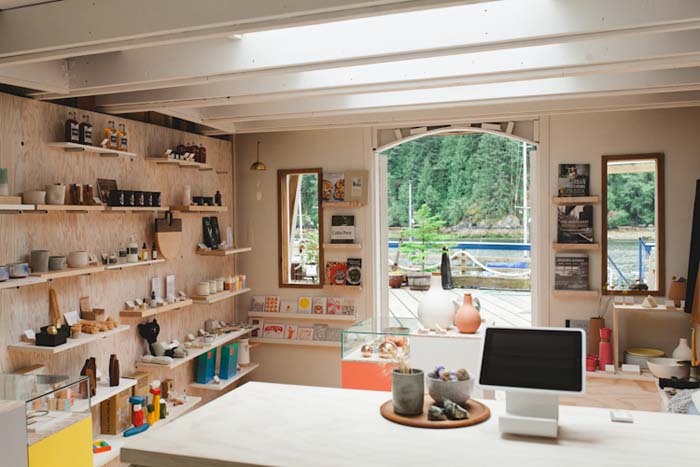 When we made a leap two years ago and moved our design studio from Vancouver to Bowen Island (British Columbia), we wanted to create a unique environment for clients and visitors to experience our work. 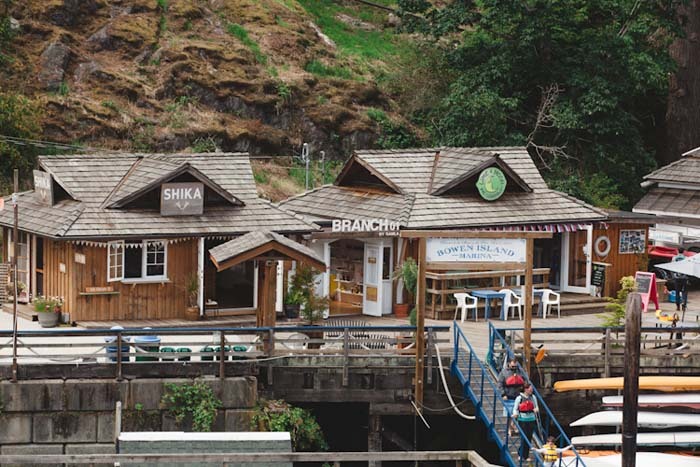 Commercial space on Bowen Island is a rare thing, so when the tiny spot next to Shika, our good friends’ restaurant, came available, we jumped on it. 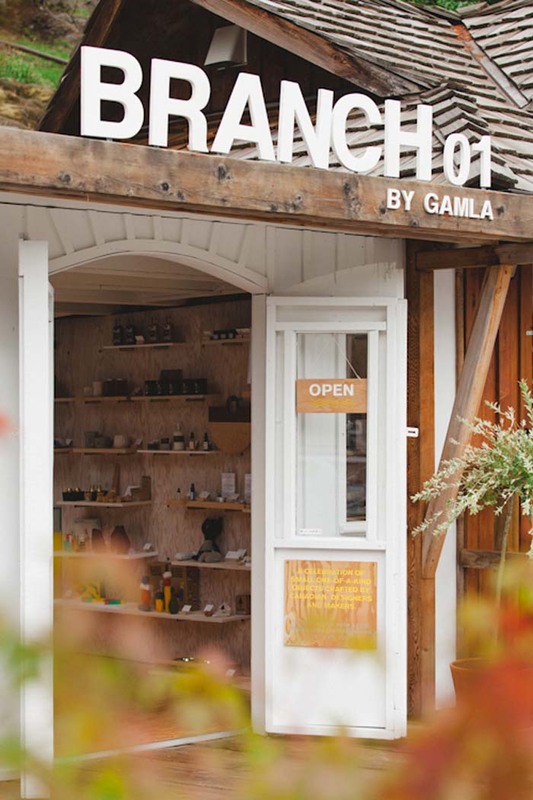 Launched in April of 2016, Branch 01 of Gamla is a tiny seasonal retail store on Bowen Island’s marina pier, a 20 minute ferry ride from Vancouver. 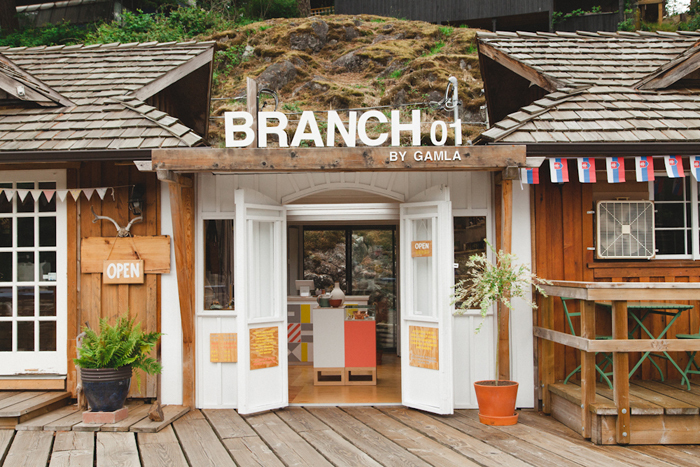 Filled with a selection of one-of-a-kind goods, Branch 01 was created to showcase new objects from our studio while featuring like-minded independent designers and makers in Canada and the Pacific Northwest. A 180 square foot space sandwiched between two buildings, it's a magical little spot. 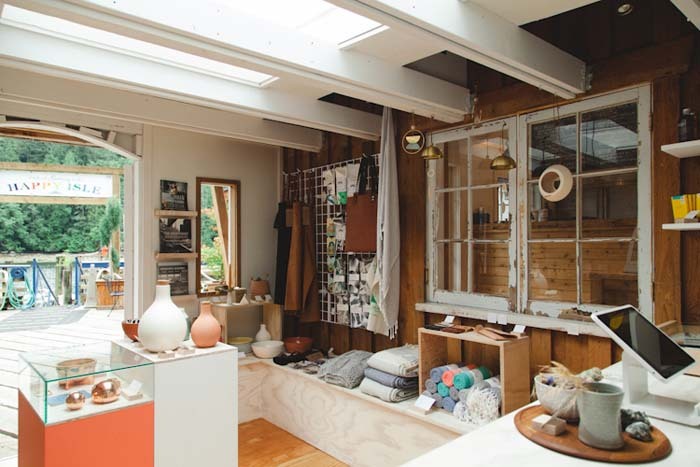 It was a raw space when we took possession, with the exposed pier boards as the floor, and two of its interior walls were actually the exterior walls of the neighbouring restaurants — but it had a roof with an incredible skylight and patio doors leading to the rock face behind the shop. We wanted to retain the raw spirit of the space, creating what is essentially a refined and designed shack, and intentionally didn’t take the space too seriously as we designed and built it out. 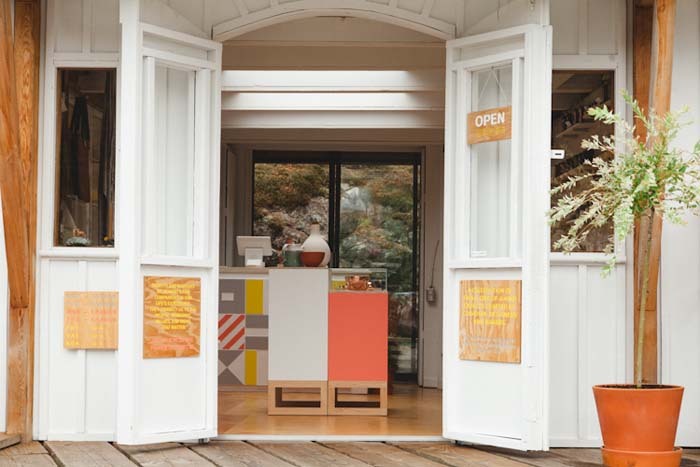 Using bright coral, grey, and yellow accents, the focal point of Branch 01 is a collage we designed and carved for the cash desk, inspired by international marine flags and a nod to the store’s nautical location. 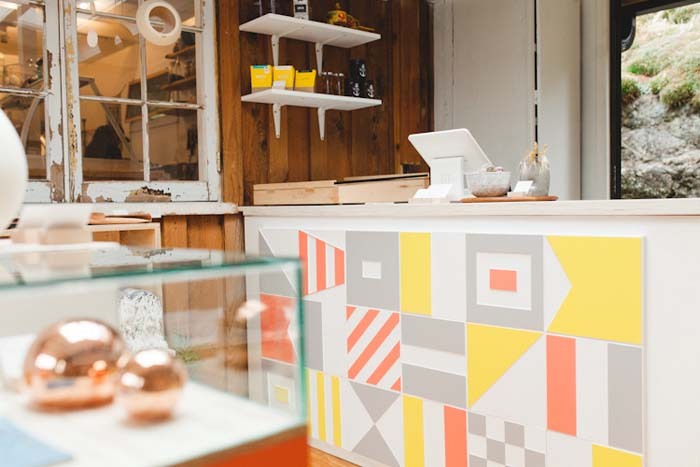 Colourful plinths with maple bases, whitewashed fir tops, and custom glass cases provide even more display opportunities, and all of the signage for the space was designed and handmade by our studio in our workshop. 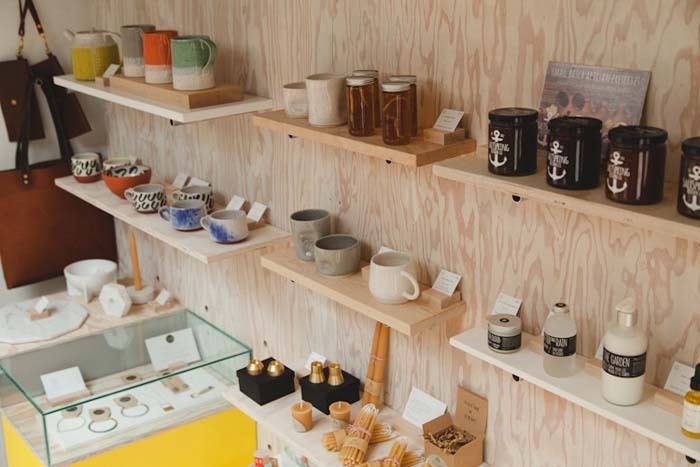 Curating the feel of the store was just as important as curating the things that go in it. 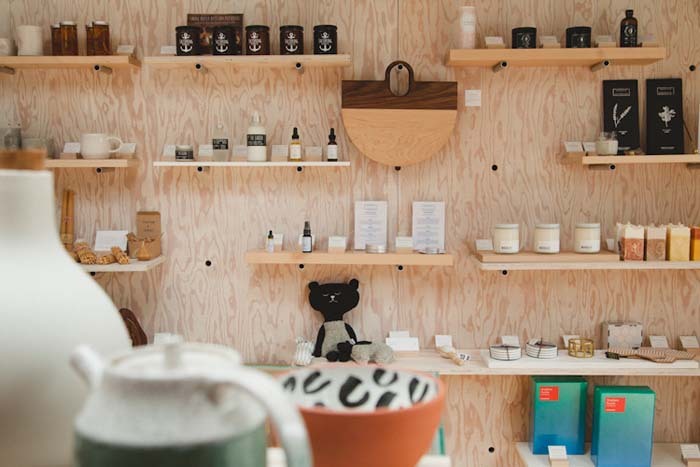 Because of its small size, we’re able to control the little things about it, like smell and sound — as soon as you enter the store, all of the noise from outside goes away, allowing you to truly take in each and every object inside. 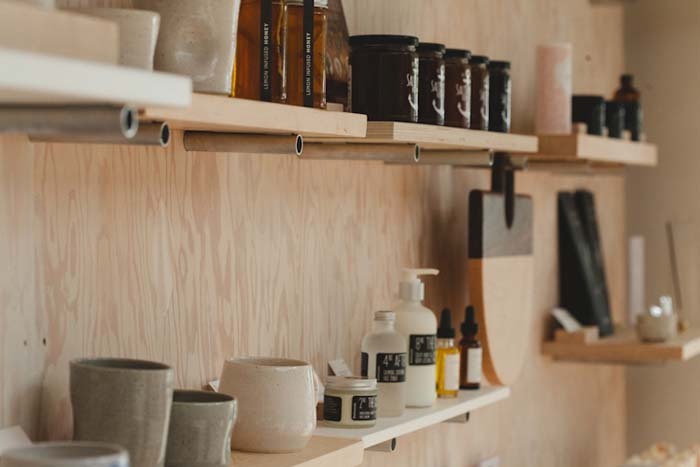 In addition to the new line we’ve produced for the store, every single product in Branch 01 has been selected with care — it was either made by us, by someone we know, or is something we love and use ourselves. We evaluate each product based on two simple questions: Is it special? Does it have a story? It’s also equally important to us that good design be accessible to everyone, so we selected a range of price points to represent that. 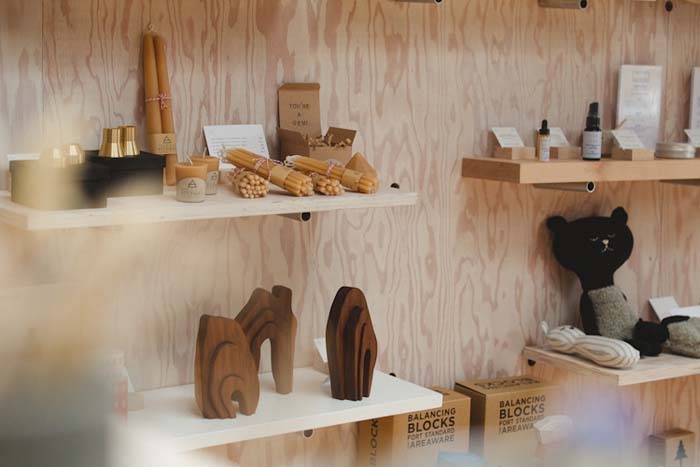 We tend to make on a hibernation schedule, and ultimately, we’ve created a seasonal shop that will evolve every year. 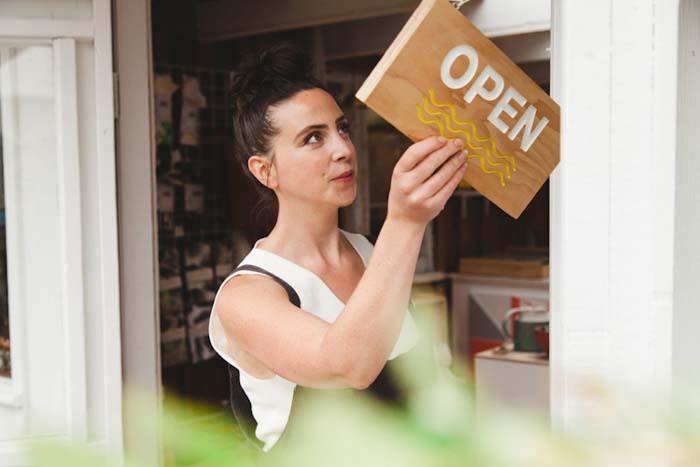 Its six month open (May-October) / closed (November-April) feature allows us to spend the fall and winter months creating and sourcing new work, while reimagining the concept and visual display in the space itself. Bowen Island Marina, 400 Bowen Island Trunk Road. 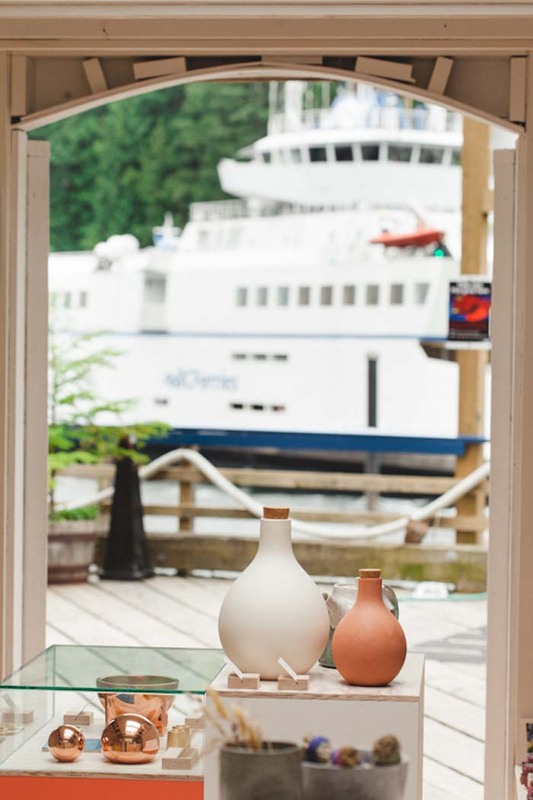 Bowen Island, B.C. 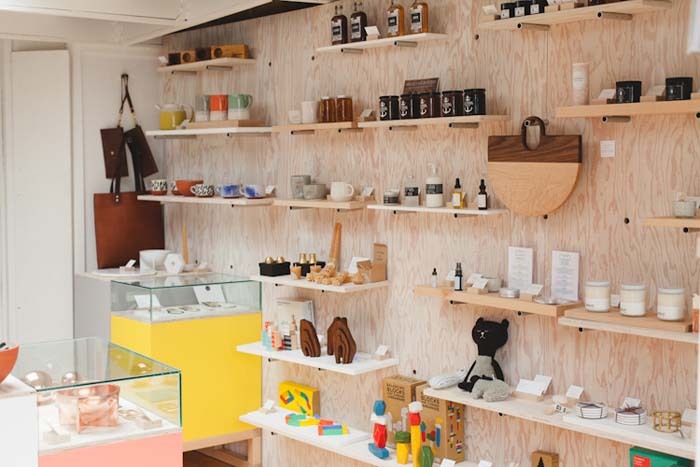 What a great looking shop! Thanks for featuring it, Jan and Earl. I'll have to check that one out in person soon! Isn't it cute Janis? Might have to make that trip with you! So happy for you. What a beautiful space you've created. Thank you so much, Jan + Earl! Please do come visit us soon!! Kath in Canada - it is a great space they've created - can't wait to see it! Robin - thanks for sharing - can't wait to drop by one day!